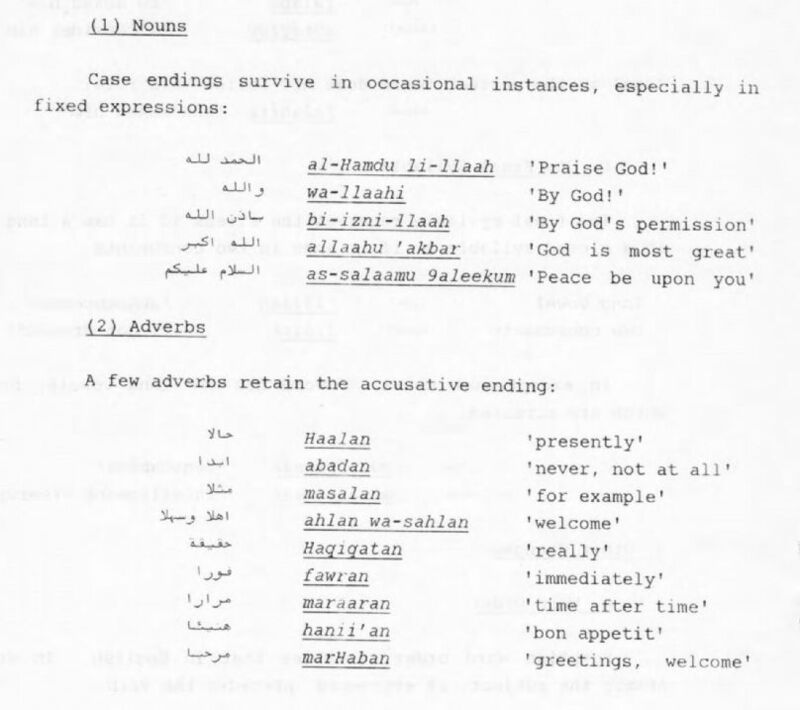 Arriving in Cairo for the first time in June 1971, I had two years of Arabic study to my credit, yet I was unable to say anything or understand more than a word here and there… I was unprepared to deal with the language that Arabs actually speak…. 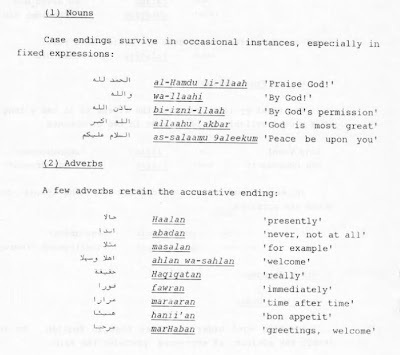 To master the Cairene dialect, I acquired a battery of grammars and attended classes at the Center for Arabic Study Abroad [at the American University of Cairo]…. How sensible it would be, I often reflected, if someone prepared a handbook of Egyptian colloquial for those of us already trained in Written Arabic. So often did I bemoan the absence of such a book that my friends eventually insisted that I undertake the project myself. I wrote the book during my final months in Cairo, in the spring of 1973..